Boasting a resilient ballistic nylon outer shell fabric; first developed to meet the demands of WWII soldiers, Patta has drawn inspiration from the fabrics heritage and adopted a camouflage-inspired 'Tiger Stripe' dubbed print. 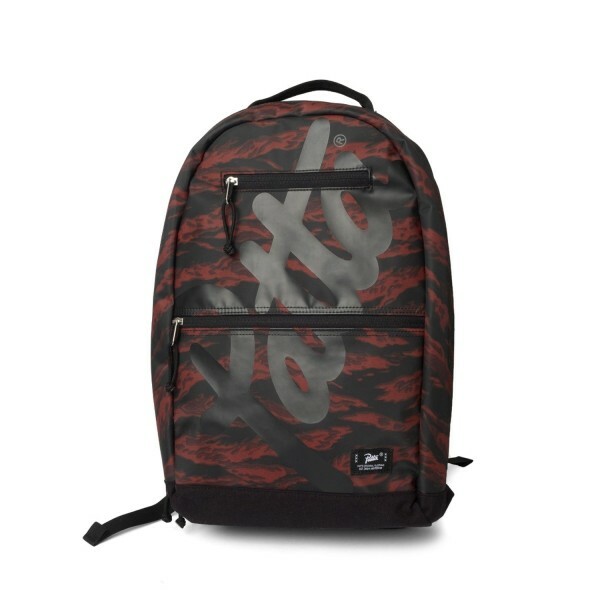 A black Patta Script Logo blends into the camo print while a woven label tag sits on the bottom corner to the front and one to the adjustable shoulder straps. In terms of meeting your organisational needs, the backpack has two zipped pockets to the front, while a 15'' laptop compartment within the bag compartmentalises the interior, safeguarding your devices. Shop PATTA online at Firmament with world wide shipping or buy directly at our store in Berlin, Germany. Tax Free delivery outside Europe.